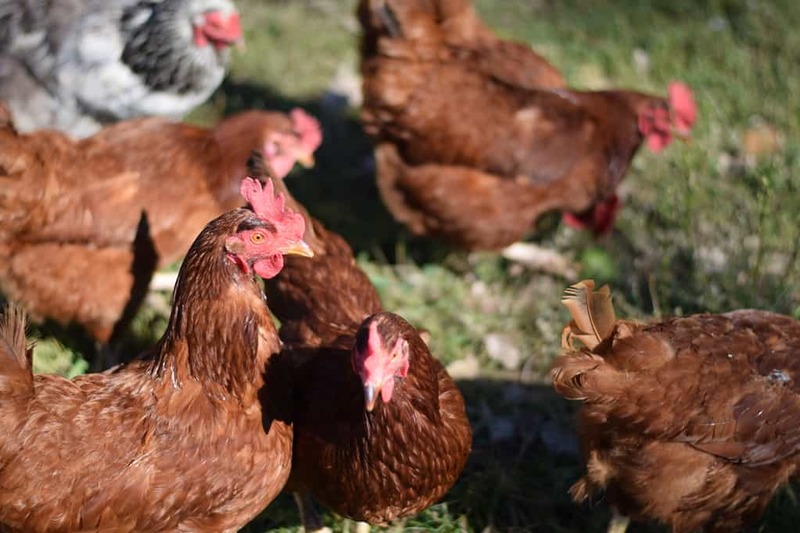 When we first started our homestead a few years ago, the plan was to raise free range chickens. It worked for a little while, but didn’t last long. 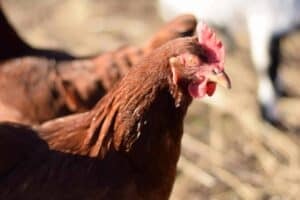 If you’re looking for info on whether or not to free range chickens, maybe our experience can help you a bit. Our little homestead has suffered too much loss. Death is inevitable, but we still grow attached to our farm animals. It is completely devastating when a predator comes and wipes out the majority of your flock. We came home from church one Sunday evening and it was just dusk, but a opossum was out and about. He decided to go after our flock. This opossum took out about half of them before we were able to get the chickens to safety. Needless to say, he didn’t live to eat another chicken. After that experience, I decided I would keep free range chickens, but only for half of the day. Despite my best efforts of keeping watch, things happen. An owl got a few of my free range chickens. Who knew that owls were out hunting during the middle of the day? Because I sure didn’t! And then there’s the ongoing and current problem we have with a fox. They don’t say “sly as a fox” for no reason. These predators are incredibly smart! One took out all but one of our free range chickens. This was with me keeping an eye on them too! That stinker was watching me and noticed when I walked away briefly. So, safely raising free range chickens just is not an option for us. I have tried different things to keep predators our, but they are intelligent animals. The inside of our coop flooring is concrete, yet I still have predators trying to dig to get to our flock. They are so smart that they are even picking at the wood and breaking small pieces off. Around here we are dealing with and battling owls, opossums, raccoons, chicken hawks, skunks, and foxes. I’m sure there’s others that I’m forgetting about. But you see our problem and why we choose not to raise free range chickens. It seems like it’s never ending and I want to do everything in my power to protect our ladies, while still giving them an awesome life. 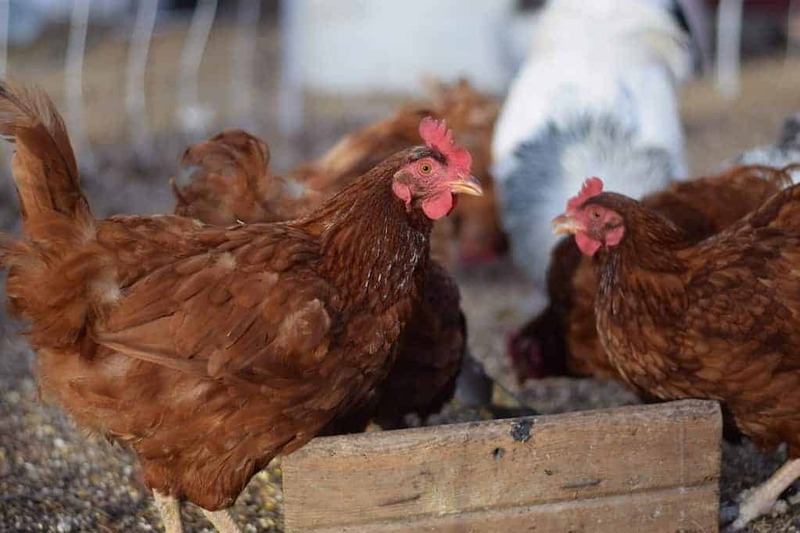 Here’s our solutions to the raising free range chickens and protecting them from predators. Because our girls still need outdoor time. And free range chickens still need to use a coop during the night. One of our solutions is to utilize a few things that we currently have at our homestead. 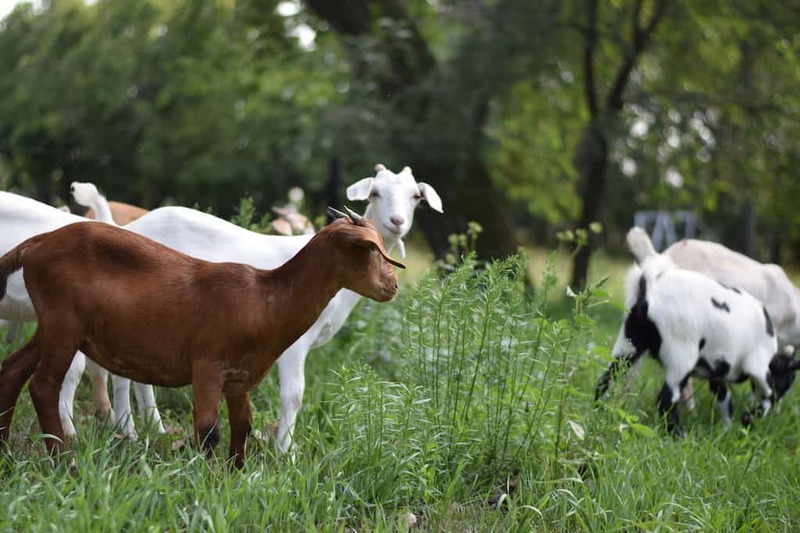 We are putting our goats to work to help protect our chickens and ducks. We rotate several between being home or out in pastures for free range time. 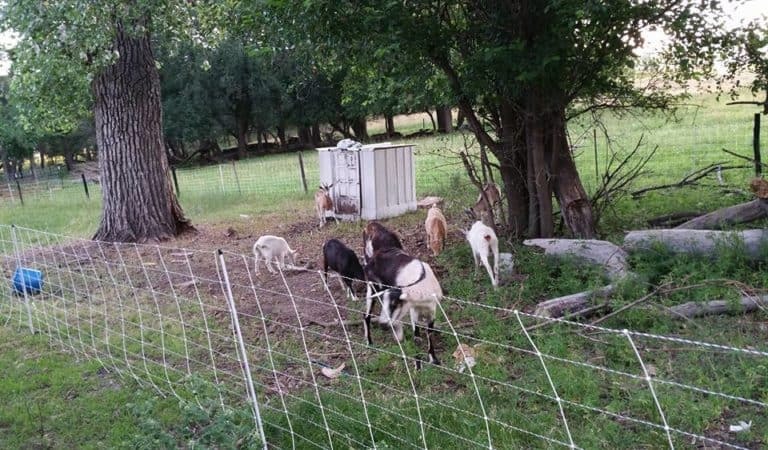 Goats love to browse, clear up trees and brush. So we give them time to do what they love. But when they are home at the ranch, they help protect the chickens. The goat pen is set up to wrap around our chicken coop. We keep our guineas with our chickens and they alert us of potential dangers, such as approaching predators. Our ducks are also set up near the coop with their own little housing, pool and fenced in run. Have you ever heard a duck? The are very loud. I have noticed whenever anything, such as our goats get too close to their pen, they alert us of “danger”. Currently we are working on creating a larger run for our chickens that will be harder than Fort Knox to get into! Ha. We are using fence panels and then lining it with hardware cloth. The roof is also lined. The ground of the run will also be lined around the perimeter to protect our chickens from digging predators. Another solution we’ve been testing out is to utilize electric fencing. This has worked for keeping our goats safe in grazing/browsing zones. UPDATE: This fencing is amazing and has kept our goats and allowed us to raise free range chickens in small areas around the yard. Find the fence here! So that’s our current plan. 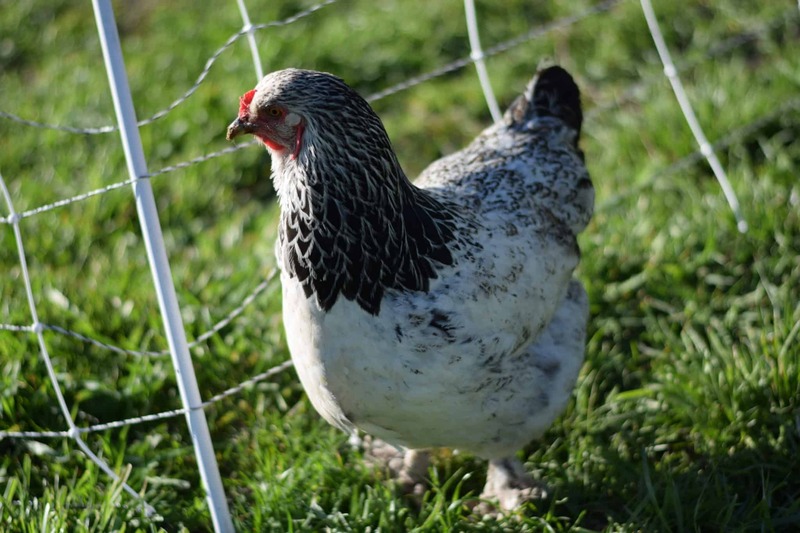 What methods do you use to keep your flock safe on your homestead? 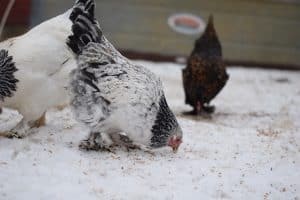 Update: this post has seen quite a bit of traffic and I’ve received many comments regarding adding a livestock guardian dog to protect our hens. We have tried this method out and we do have an amazing LGD. She protects our animals from many predators, but this method is not full proof. It does not keep the predators away at all times. I feel like we are in a hot zone and many predators have a death wish. Ha. The best method that I’ve found to work for us and our farm is utilizing this electric fence when the hens are outdoors. It’s seriously amazing! Our one goat and 3 sheep are in our 1/4 acre pasture which is fenced. Then at night they go into thier coup and peerch about 8 feet in air and walled in on 3 sides with chicken wire on the 4th side. So far so good. 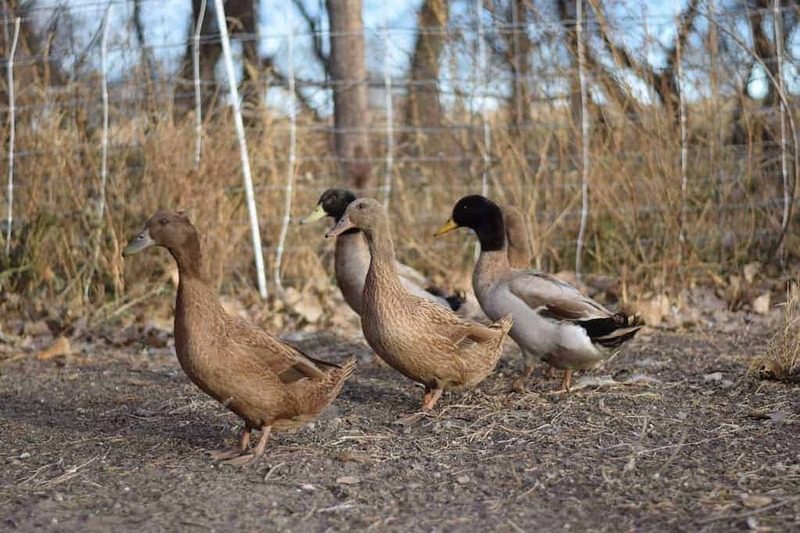 We have three different fowl & poultry areas set up at Hackett Haven Homestead. The first is called the Primary Coop. My awesome hubby made a large mobile chicken coop for this flock. It consists of 20 hens & 1 rooster. We usually allow these birds to free range on our 8.5 acres. We are very fortunate because we only have predator problems in the Autumn/Winter seasons. They are safe to roam other times of the year. Our newest challenge is a scavenger hunt for eggs. They have nesting boxes provided in their coop & the hay/wood barn but some choose to lay elsewhere. We sell these eggs so my hubby decided to recently create permanent fencing around this coop to keep them home. I love the fact that they are also safer so I’m not worried about them free ranging when I’m away at work almost every weekday. Our second area is called the Specialty Coop. This is coop that was already built as a part of the large shop, before we moved there. The coop is shared by 5 rabbits, a show Polish rooster, 3 bantam hens, one bantam rooster & 4 recently hatched chicks that range from one month to one week old. There is also an outside hutch with 3 rabbits in the fenced area. My bantams used to free range with my standard sized birds until two absolutely disappeared without a trace last November. After that we set up this Specialty Fencing Area. Our third set up is called the Waterfowl/Goat & Maternity & Nursey Area. It consists of 3 doe goats; one extremely pregnant ,4 hen ducks, one drake & 4 geese. This area also helps to separate my pregnant doe from our solo buck. He is non-aggressive but I’d still like to separate the soon-to-be born babies from him. Him & my previous bottle fed wether are together in their own area. The geese & goats will sufficiently guard this area. It is also right beside the corral with the four horses. These also deter any predator specifically bird centered. We also have two ewe sheep & a pig together in a fenced area that is near the Primary Coop. We have multi species on our farm & have figured out how to create symbiotic relationships. Our issue is dogs. We have 5 acres and have had chickens a few years now. We have had at the most 10. About two months ago I had some stray dogs come in and grab my little silky I only had a few weeks. He was fast approaching my new best friend. He was just starting to crow. He was Dr. Phil , had been Phillis until the crow. Broke my heart. I usually get home before my husband and let the girls out we had 8. Had raised them from chicks they were pets., All had names all were different breeds. I let them out and went in to change heard one and run outside where I saw feathers everywhere. Dogs had come in and slaughtered five of our girls. That left us with three. Again sobbing and broken hearted. We just bought 22 more chickens. We do not know where or who owns the dogs. Never saw them before or often. So now my girls do not get to go out unless I am following them around with a shotgun. Not an enjoyable afternoon. Love our girls . 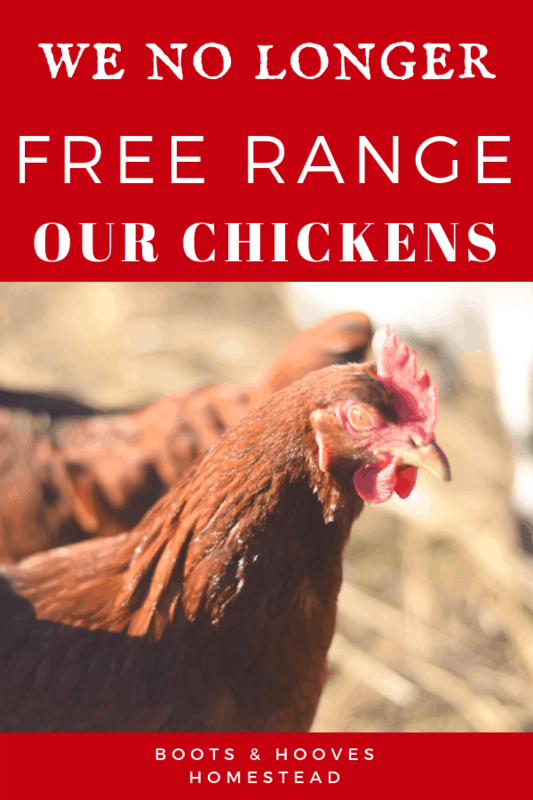 Hi, I just stumbled across your website and read your article on why you are not free ranging your chickens. I too used to have a problem with predators, until I got a livestock dog to watch them. It was the best thing I ever did. She is worth her weight in gold! I love to let my girls free- range the entire property which has woods for a variety of food as well as the pastures. That wasn’t possible until I got my first LGD. Now nothing, and I mean nothing will ever get the chickens, even hawks and owls that try are chased off. It definitely is peace of mind. I agree with Sharon. A well trained livestock guardian dog is worth every penny. 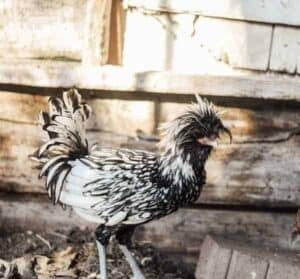 Look for breeds that due well with chickens specifically. Dogs. Dogs keep our chickens safe, as well as the ducks. Our neighbors have all lost entire flocks, but out of 40 birds in 2 years I’ve lost 5 birds. And it was in a very short time, then it stopped when the dogs killed the predator. I haven’t been able to keep chickens either until I got a guard dog, He is amazing! In two nights I was completely out of chickens. This happened to me every year. I haven’t lost a single chicken to a predator in 4 or 5 years. (I can’t remember when I got the dog!) I have since started raising guard dogs. We use to lose our chickens to coyotes until we got a Great Pyrenees dog. From that day we lost no more chickens and the coyotes didn’t dare even set foot on our property. I just bought a Great Pyrenees about a month ago. I am planning on buying a couple of goats and about 10 chickens and maybe some other animals to raise for the Pyrenees to protect, but was wandering if I should let him get a little older or if I should buy another dog for protection before getting the other animals. What do you think? By the way, I forgot to mention, that the Great Pyrenees is now about 3 months old. In our experience, it’s best to start training them with livestock early on. We have an awesome cattle dog who we trained as a puppy and she has done great with all of our homestead animals. And then we adopted a grown cattle dog. She did not do well with our chickens and even killed a few. Unfortunately she was not trainable for us so we rehomed her to another farm family. So, in short, I would say that in our experiences the sooner you can get them acclimated with each other, the better. Not saying that it can’t be done the other way, it just worked for us this way and seems much easier. 🙂 Hope that helps and how exciting for your new goats & chickens! I don’t know how old this is, but I have to wonder if you have a livestock guardian of some sort yet? Certain breed dogs, donkeys or lamas are used. We have no near neighbors to bother, so a Livestock guardian dog was our choice. We had lost 2 sheep, over 20 chickens and 9 cats to dogs and predators. We have lost none since adding our Anatolian dog. She is worth her weight in gold! We did the same thing with the fence panels and lining it with chicken wire, we bought a 10×10 dog run, it was perfect. The bottom of our coop is solid wood, so no worried there about predators digging in. We then put our entire coop and attached run on top of railroad ties and screwed the bottom of the coop into the ties. We also backfilled the run to the top of the ties so the dirt was just to the bottom of the fence panels and if anything tries to dig in all they are going to get is more dirt. It’s been great so far, especially after having so many wild dogs break into our old coop. Mine free range the neighborhood all day. We live on a half acre and they have made themselves at home in many of the surrounding yards. We have a dog as do the people across the street and both dogs watch the girls very closely and chase away unwanted company. At dusk they are locked in Fort Knox. A predator proof coop attached to a fully enclosed run. Hardware cloth one walls and ceiling of run as well as burried under it. In 2 years we haven’t lost a chicken yet although I am sure we will eventually. the reason we do not free range our girls is, they tear up my perennial beds and throw mulch everywhere! so, we put up our 2 pieces of 100ft premier fence, even though it isn’t electrified anymore. it keeps the chickens in and the vermin out. we also put the fence around trees (pine, willow) so the girls can run under should airborne critters come looking for them. they have an enclosed pen around their coop; we put a hoop house on the back and take the back off during nice weather so they have access to the fenced area but have learned that hawks will fly through the tunner into the house (!). now we hang netting in the interior of the hoop house giving the girls a 2ft high pass through.. evenings the back door of the coop is locked. this has worked for us for the past 4 years. the girls get their greens and have the free-range experience w/o me pulling my hair out. I’ve had wonderful success preventing predators from destroying my flock by putting a radio in the coop. Just turn it on, low volume, 24/7 and leave it. Predators are very smart and advoid humans at all costs. The talking and music will keep the rascals at a distance. 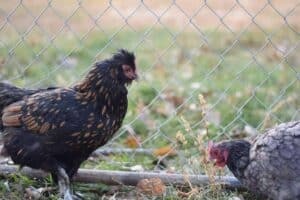 I have found that skunks and weasels can pull a full size chicken through a 2″ chicken wire so this is why I use a 1″ chicken wire. I have also found that It helps with predators to go out and pee around the chicken area to mark the areas of human scents. I hope this helps! As others have already mentioned…livestock guardian dog. We have two LGDs and very rarely lose a chicken to a predator. We keep a dog in the run at night. We have a double run. The initial run is small, but well protected with welded wire buried a foot deep and rises 2 feet above the ground. We inherited some other birds that doubled the size of our flock. Put up a much longer run that encompasses the original. The added run does not have a top, so we ensure one of the dogs are penned up with the chickens every night. Dogs are fairly aggressive towards intrusion from potential predators. Our coop is 2 feet off the ground to try and protect against snakes. Definitely not snake proof, but hopefully a method of decreasing the possibility. We still lock up the original run every night as a safety precaution. To clarify, the original run is completely enclosed with chicken wire. Welded wire was added to areas where we felt there was weakness. 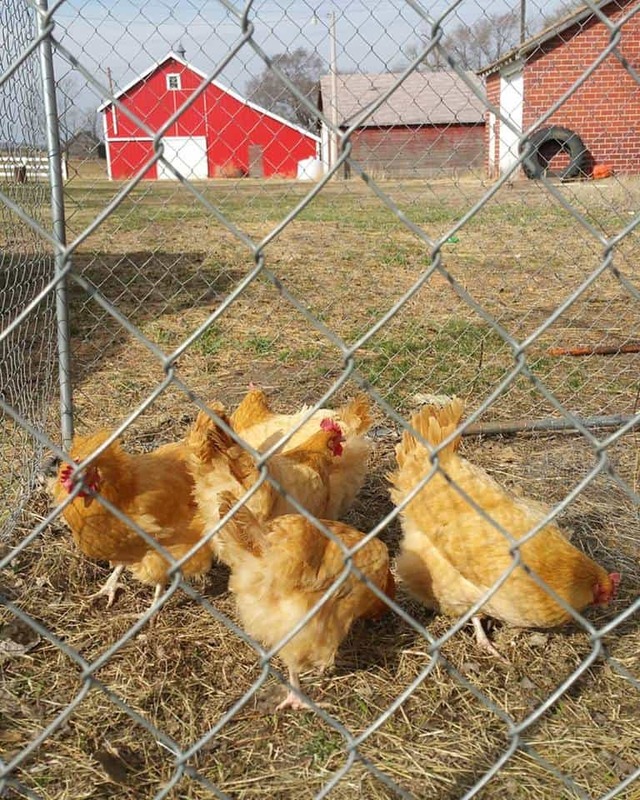 We’ve since decided that all future construction/retention areas for chickens will be strictly welded wire. Well worth the cost difference. We are currently setting up with a fresh shipment of another 25 birds. Will be a separate coop and run. Our birds are allowed to range, except during winter when predators are more bold, for no less than half the day. Eventually hope to have welded wire around the whole property for added security from coyotes and bobcats. Have you considered livestock gaurd dog? Anatolian Shepards are great with a flock or any other farm animal at that. Great addition to any farm. Maybe omething worth looking into. We have a small animal farm in Texas with the potential of the same problem but we got two Great Pyrenees pups to raise around the free range animals. We lost a couple chickens during this time while they were growing up but by the time they reached a year old this was not an issue. They are 3 years old and we haven’t lost one animal. The only down fall is they bark at night to keep the larger animals away. During the day they take turns sleeping. They not only keep animals away they run off the owles and halks. It is beautiful to watch. Watching them around baby chicks and ducks will warm your heat when you see how submissive they are with baby animals and their moms. They are also very people and children friendly. The only bad side to this is they will not allow another dog on the property. We had to put up a fence around our back yard for our guests pets to keep them safe. This is the best investment we have made. We keep our chickens in a 10 x 20 dog run with a roof on it. We dug trenches all the way around and put chicken wire in them and 3 feet up the side of the run. We also have “predator eyes” mounted all the way around the run. So far so good. I did see some digging once but the chicken wire seemed to deter whatever it was. Hi my name is Kathi. My husband and I leased a farm last July. We acquired 6 Hens and 2 roosters. Soon after we lost 2 hens to a predator, but didn’t know what. My husband is store manager at Tractor Supply, and talked with experienced farmers and found out possible possum was culprit . Sure enough couple nights later our 5 year old German Shepard Sargent came around the corner with a possum in his mouth. He has been the best farm dog we could have imagine. He has recused me from a mouse in the bathroom, alerted us that the chickens were loose by capturing and bringing them to the door , keeping deer out of the garden etc. what you need is a good dog.